Supersoft on the outside but supertough on the inside, these plush funny friends are made with Tuffut Technology, a patented three-layered construction that can withstand over 100 lbs. of tugging. Harvey the Rabbit Dog Toy has different options and/or variations, please choose below. Supersoft on the outside but supertough on the inside, these plush funny friends are made with Tuffut Technology, a patented three-layered construction that can withstand over 100 lbs. of tugging. Pleasingly understuffed for toting and tossing, with two squeakers per toy. 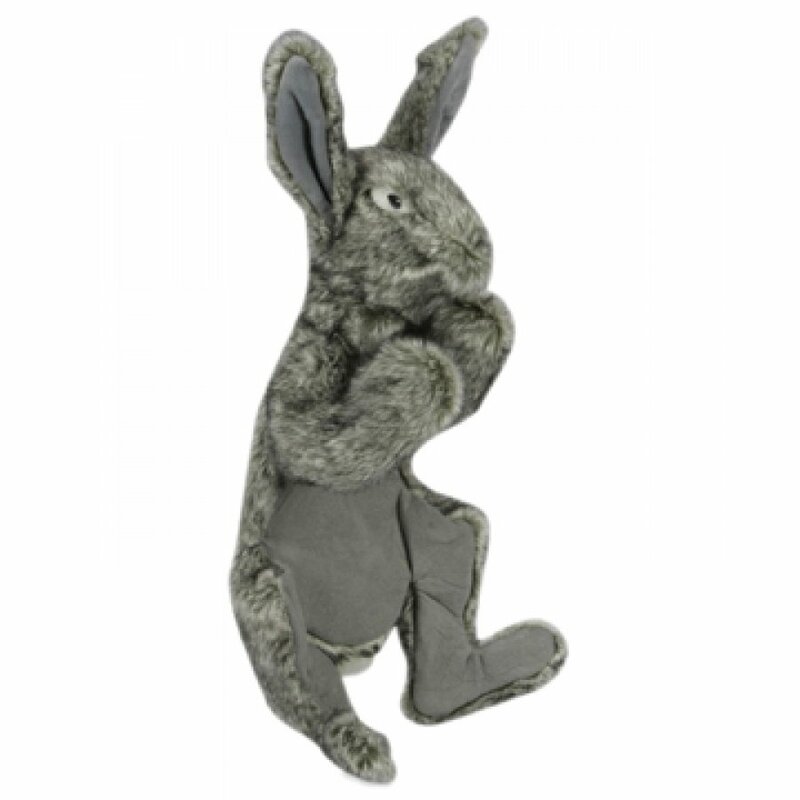 The XL Harvey the Rabbit dog toy is approximately 20" long. The Regular Harvey the Rabbit dog toy is approximately 13.5" long. Imported. Every plush toy is lined with super durable Tuffut Technology™ (patent pending process). All details (eyes, polka dots, etc.) are embroidered for safety. Every toy is tested by a metal detector after manufacturing to be sure that there are no stray needles. All fabric is tested to be sure that no harmful chemicals are used. Super soft of the outside, but super tough on the inside. Made with tuffut technology, a patented three layer construction that can withstand over 100 pounds of tugging. Pleasingly understuffed for toting and tossing, with two squeakers.